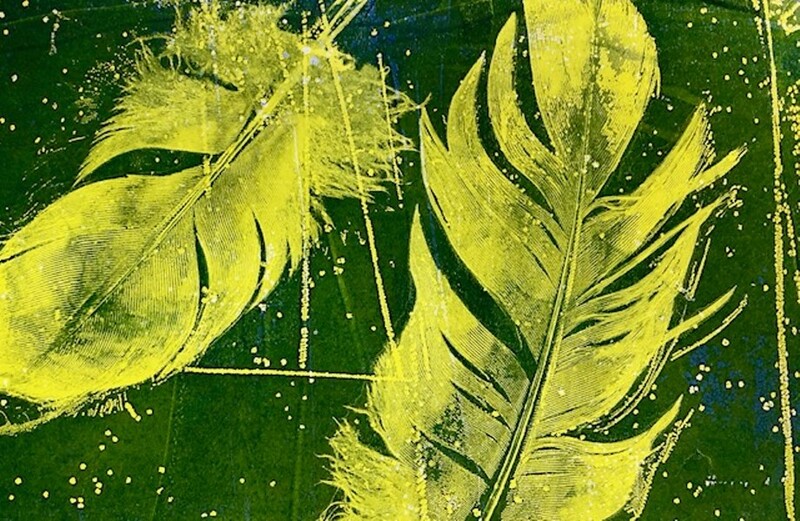 Gelli plate printing with leaves and feathers. Prints can used for gifts, gift cards, and gift tags. Reserve your spot by phone or email.